Since the 1980s, flagship comic-book superhero movie franchises – from DC’s Superman to Marvel’s Iron Man – have seen some major movie studio investments and, more often than not, blockbuster returns. But significant changes in the superhero mythos in our culture indicate that their future seems bleak. Universal Studios leads the year’s movie profits without a single superhero movie. Meanwhile, the latest Fantastic Four reboot has failed terribly. Their twilight may be upon us. The nature of the audience, the evolution of superheroes from flawless icons to more complex characters, and the influence of the so-called “Dark Age” of comic books on comic book movies and audiences have sown the seeds for their demise. The recent flop of the Fantastic Four film is only the latest indication that the flawless, all-powerful superhero of yesteryear has no place in today’s culture. Superhero movies have been with us since at least the 1940s, with Captain Marvel and Batman both receiving movie serial treatment. But because of their limited special effects and due to the outdated serial format (short films shown before main features), they received little to no critical attention. While popular in its day, Christopher Reeve’s Superman doesn’t stand the test of time. 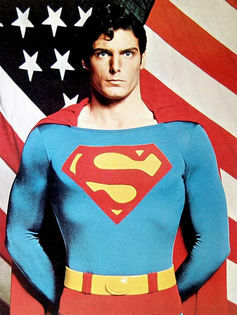 It wasn’t until Richard Donner’s Superman films – which starred the perfectly cast Christopher Reeve – that the superhero genre was elevated to blockbuster status and critical acclaim. Superman (1978) and Superman II (1981) (The Donner cut) set the standard for superhero movies for a decade. These stood, for a time, as the high-water mark. But by the early 1980s, as the brightly hued, perfectly good Superman was bringing super back in the movies, the comics were taking a darker, introspective turn. Led by authors such as Alan Moore and Neil Gaiman, superheroes in the comics were being deconstructed. These authors explored superheroes with a realism that previous comics did not, asking how superheroes might exist in our world, rather than transporting us away to some faraway fantasy world. The nature of the superhero was being questioned and taken apart just as our cultural excesses and hopes were being similarly questioned. Alan Moore’s role in reviving the British Marvelman comic-book franchise (often now found under the title Miracleman, for copyright reasons), helped transform the idea of the superhero comic. Written in 1982 when Moore was only 28, it was a game-changing foray into the superhero genre by one of the industry’s up-and-coming stars, who would later make a lasting mark with V for Vendetta and Watchmen. The protagonist of Marvelman is a regular person who – suddenly and traumatically – acquires god-like powers. Much of the story focuses on how having superpowers causes angst and harm to both Miracleman and his human alter-ego. Unlike the morally uncomplicated Superman, Miracleman constantly toes the line between god and demon. His humanity is as tenuous as his superhero form, and his conflicts are drawn out in detail, with gritty realism. By 1986, Moore’s Watchmen, which again portrayed superheroes as ordinary people confronted with extraordinary powers and dilemmas, would complete the deconstruction of the genre. Journalist and comic historian Mark Voger’s book The Dark Age chronicles this turn, but we’re left to speculate as to whether the culture was influencing the comics or vice versa. Certainly, a lingering loss of innocence in the post-Watergate, post Iran-Contra US may have perforated our desires for mere escapism, and comics have long been a venue for subversive cultural criticism and reflection. Watchmen is a poignant and pointed criticism of the Cold War, the black-and-white brinksmanship mentality that suffused the politics of the era and its “star wars” missile defense system. 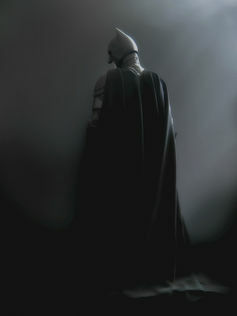 The Dark Knight presented a grittier, more realistic hero, reflective of an era no longer imbued in optimism. As Reagan’s America slouched toward dusk, Moore forged a path for Frank Miller and Tim Burton’s grittier, darker world of Batman. Frank Miller’s Dark Knight Returns (1986) revived and altered the Batman franchise, with a darker, noirish imagining of the Batman mythos, which starkly contrasted with the campy 1960s and 1970s versions so many of us grew up with. Watchmen and Dark Knight Returns are often credited with introducing the “Dark Age of comic books”. Technicolor do-gooders like Superman couldn’t survive in such a world. The climactic scene in Miller’s book is a battle between Superman and Batman. Batman has the chance to kill Superman but passes, instead feigning his own death. This scene cast a pall on both Superman’s perceived invincibility and Batman’s status as “good guy.” By 1992, DC would stun the world by killing Superman in the comics. If Superman could die, who would save us? Tim Burton’s Batman movies took on both the dark visual and narrative tones of Miller’s work, and raked in blockbuster returns at the box office. Since then, a number of high-valued and sometimes compelling comic book franchises have succeeded both cinematically and financially, including Sam Raimi’s Spiderman films and Jon Favreau’s Iron Man films, both of which are influenced largely by Dark Age conceits. But like Superman, the Spiderman franchise has suffered a loss of audience interest and changes at the helm (new directors and “reboots”), and hasn’t recovered. Box office receipts for the five Spiderman films show a steady decline, with the latest making domestically only about half of the initial Spiderman film. Meanwhile, Iron Man has transitioned to a character in The Avengers, and more solo films don’t appear to be on the horizon. Superman went through a series of reboots (including a never-realized Tim Burton version), before finally achieving some (arguable) success under Zack Snyder’s direction with Henry Cavill as a charismatic reembodiment of Christopher Reeve, albeit in a (literally) darkened environment. The Christopher Nolan Dark Knight Trilogy, started in 2005, was perhaps the peak of the superhero revival, bringing artistry, darkness, realism, self-reflection and further deconstruction of the genre begun by Moore. But now that ensembles – films featuring large casts of superheroes – have taken over, the end of the superhero appears nigh. With the success of The Avengers, and with the next Superman film set to feature Batman, Aquaman and Wonder Woman (the Justice League is coming! ), the solo movie superhero appears to be passe. Perhaps spurred on by the need for increasing spectacle – and without a strong lead character to anchor a single superhero franchise – the studios are packing in more superheroes into ensemble films, leaving character explorations of individual superheroes to TV series like Arrow and Daredevil. The recent Fantastic Four reboot flopped, despite its attempt to cash in on Dark Age realism. The Avengers may have been the high point for superhero ensembles, just as the Dark Knight Trilogy was for solo superheroes. Ensembles and the Dark Age sensibilities just do not seem to mesh well. What was most compelling about the dark turn that Moore, Miller, Burton and Nolan took was the focus on the loner, the loser, the drifter and the oddball who achieved god-like powers enmeshed in an accidental quest for justice. Recently, Alan Moore himself has called the embrace of superheroes by the general population a “cultural catastrophe.” He bemoaned the escapism superhero movies offered to adults, which explains why he was so eager to deconstruct the idea of the “superhero” in Watchmen. According to Moore, these are characters we should actually fear – not strive to be. They are dangerous in both their capabilities and motivations. Moore seems to be saying that we should instead embrace our humanity. And indeed we are embracing more human, flawed heroes, whether it’s Breaking Bad’s Walter White/Heisenberg, Deadwood’s Seth Bullock or Mad Max – all of whom are tortured, dark and ambiguous. These are heroes more or less in line with those the Dark Age ushered in, with Burton, Nolan and Snyder delivering silver screen iterations. Ultimately, in these uncertain times – and with our increased focus on self-reflection and self-promotion – the invincible and escapist superhero of old has become obsolete. David Koepsell is Adjunct Associate Professor at University at Buffalo, The State University of New York. This article was originally published on The Conversation. Read the original article.